Use your credenza for well-needed storage rather than an expensive built-in cabinet. This is a perfect place to store your vintage glassware, placemats and napkins. That collection of vinyl records would fit nicely inside, and feel free to display one of your favorites propped up on top. Consider moving the credenza to a living room, bedroom, kitchen or office. If you thought there were rules about that, there aren’t! A beautiful credenza adds charm and an artistic element to any room. It’s there for you to enjoy, so go for it. Next time you feel the urge to multi-task, appreciate the care that went into designing and manufacturing this impressive piece of furniture, and your hard work, of course. Try all of our credenza styling tips until you find what works for you! And if you’re in the market for a new credenza, allow us to recommend one of our current favorites: The Raging Sideboard! 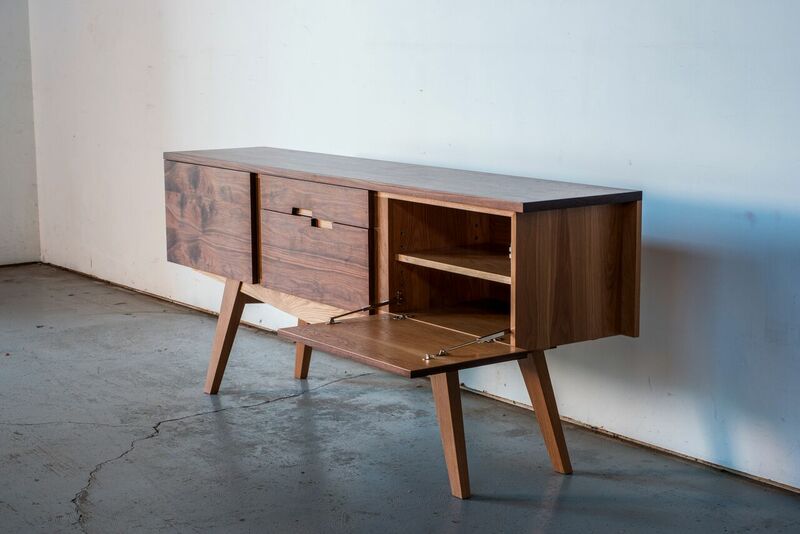 A sideboard designed by Aled Lewis. Photo courtesy of Huston and Company. This stunning sideboard is the culmination of design expertise and artisan furniture-making by Aled Lewis, of Raging Capital Management and Saer Huston of Huston and Company. 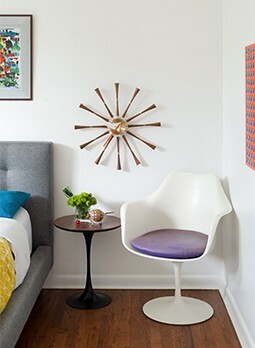 It is made of solid walnut and white oak, a pretty unique combination for midcentury pieces. Although it was designed as an office credenza and comes equipped with ventilation ports for all of your space-age devices, really, any room would benefit from this incredible beauty. While its utility can rival the best out there, we are particularly in love with the recessed drawer pulls created from the negative space of the walnut drawer front. Simply put, the seamless fusion of utility and beauty has been achieved.